When it's cold out and the kids are excited for the chance to get out there and romp in the snow but the conditions are just too blustery, treat them to some indoor winter games instead. From building an indoor snowman to cooking up some snowman snacks, these ideas for indoor winter activities celebrate the cold and snowy outdoors in the comfort of your home. 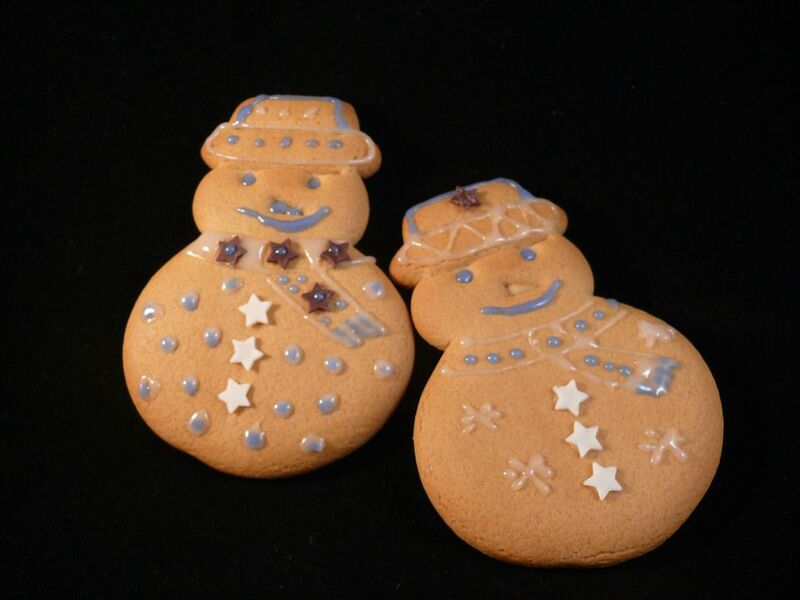 Gather the kids in the kitchen and turn on that warming oven to bake a batch of snowman cookies or make snowman cupcakes. If you don't want to bake, you can make snowman ice cream sundaes, fun sledding snowman graham cracker treats, or any other snowman party food ideas. There's just something about a fresh snowfall that really revs up the kids’ energy levels. Help them expel some of that excitement with a little practice session for the snowball fight they’ll have when they finally do get to go out and play. Roll up balls of paper, white socks, or make your own fabric snowballs. Give each kid a bucket of these indoor snowballs and let the toss them at each other for fun. After the fight has fizzled, play catch or a tossing game with the balls. After the indoor snowball fight, the kids will want to warm up with some hot cocoa. Throw a white blanket on the floor and sprinkle it with cotton balls. Place it near your fireplace or build a faux fire and place it in the middle of the blanket. Brew up a pot of hot cocoa, serve it with cookies or marshmallows, and let the kids gather on the floor for a warm winter picnic. Think you need real snow and the outdoors to build a snowman? Think again. Stuff a bunch of large white pillowcases (with pillow stuffing, comfy clothes, or even crumpled up paper) and you have the makings for an indoor snowman. Velcro can help to stack them as well as to adhere items such as buttons, eyes, and nose onto your indoor snowman. Make your own bingo sheets using winter-themed clipart. Switch the order of the clipart on each sheet. Print an extra sheet to cut out the clipart images and place them in a bowl. Use these to call the game of Bingo. Snow-cap style candies or mini marshmallows make fun, edible, winter-themed Bingo card markers. Who says piñatas are only for birthday parties? A snow day sure feels like a holiday to kids, so why not celebrate with this exciting game? Fill a snowman or winter-themed piñata with treats. Don't have one on hand? You can make your own with supplies you probably have around the house, including a simple, paper bag pinata. Clear a space inside where you can hang it and let the kids whack away until it spills out the goodies. Another fun idea is to fill the pinata with white confetti to make it “snow” when it breaks open. Party games are a great way to pass the time on a snow day. Choose a few games with a winter theme, such as snowman games, penguin games, or even reindeer games during the holiday season. When it’s cold outside, one of the best ways to keep warm and entertained is to snuggle up under the blankets and watch a winter-themed movie. If school is closed due to snowy weather, you can invite the neighborhood kids over for an impromptu party featuring some of these indoor fun activities.